Welcome to the world of Paranormal Minds! We are here to serve society with an unbiased and informational approach within the scientific paranormal field. This educational experience is the collaboration of Middle Georgia Paranormal Investigations based out of Macon, Georgia. Our media sources are all equipped with the most recent information and opinions. We are dedicated to offering a variety of perspectives and interests that will keep your mind curious and evolving to become more informed. Paranormal Minds fully believes in the promotion and education of this field of study. Our cast consists of experienced host and expert guests. 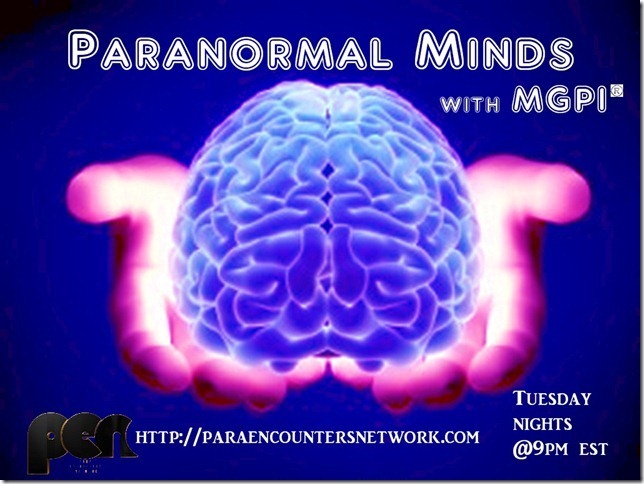 Paranormal Minds is live every Tuesday at 9:00PM Eastern. Click the image below to watch Paranormal Minds! Want to learn more about Paranormal Minds? Click the image below to visit the Paranormal Minds website to learn more!